Group F being one of the most toughest in World Cup championship, going to place on Russia. 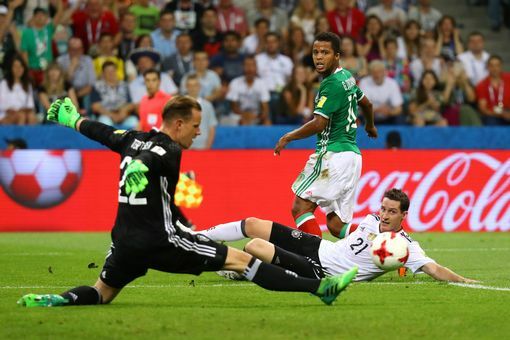 And the two tough side Germany and Mexico will play their first clash on 17th June, sunday. The combat will place on Luzhniki Stadium, Moscow. At the time Germany holding the no. one positon of FIFA ranking. They are one of the most favorite to grab the World Cup title. In the group match they have to fight against Sweden and South Korea. They are confident to cross the group round so far. Mexico also in the form. They having a strong figure this season championship. The game will be telecasted in different tv channel and you can free watch online. Here the full detail of the game. Germany want to be erasing the failure of Euro 2016 championship. As they failed to grab Euro campaign, it made them very disappointed but to be winning the trophy they delete the blemish of the failure. They had cause of failing the game as well as their star player Thomas Muller, Mario Gomez was missing the game. They had not got call from the team. But the manager should not be the same mistake again. Mexico not at a bad team. They are also hard defence with numbers of star player like Javier Hernandez, Andres Guardado, Hector Herrera. They have the ability to fight enough with Germany footballers. But Germany becomes the favorite of the game. But in the football anything is possible. So Mexico have also little chance to win the game. Whatever the result, the game will be very fighting and enjoyable so far.